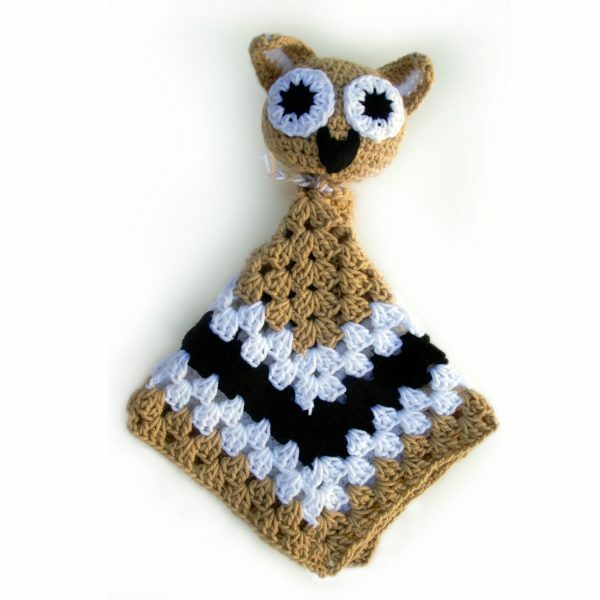 Give a newborn baby this friendly Owl Be With You Security Blanket as a gift of comfort. 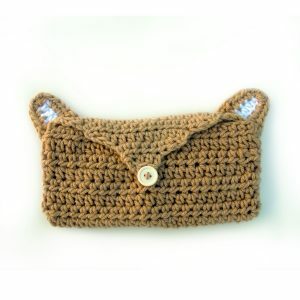 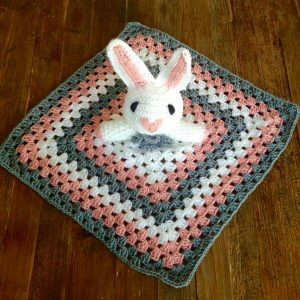 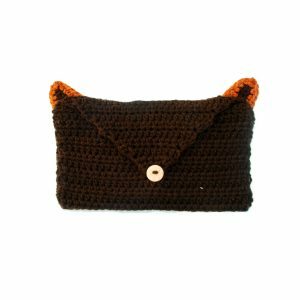 Crocheted with lots of love, where babies can explore with their precious hands and feet. 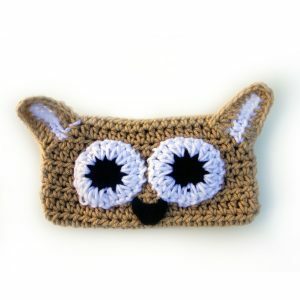 It will soothe and entertain your baby – complete with a heart shaped nose as a reminder that this little wise owl is out to save the world one little life at a time. 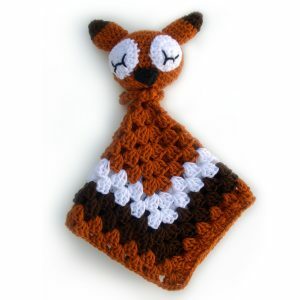 • Detachable Animal Face to wash the blanket. 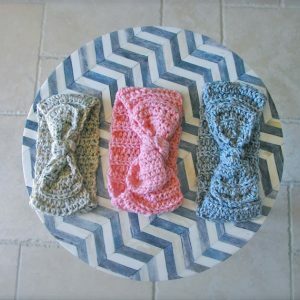 • Every handcrafted item you get, gives job creation to a survivor of human trafficking. 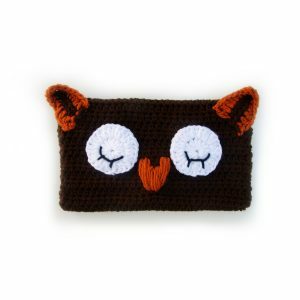 • Choose from Hop for Hope, Owl Be With You, Foxy Saves the World, and Peace Out Penguin Collection.